Few foods have the lasting, easy comfort appeal of soup. These one-pot wonders can solve so many of our culinary dilemas from quick weekday meals, comforting an ailing loved one or using up a surplus of garden or market greens. 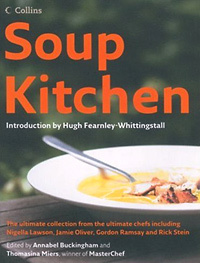 Soup Kitchen is a fantastic collection with contributions from some of the top chefs in the UK. Gordon Ramsay, Jamie Oliver, Nigella Lawson, Giorgio Locatelli, Delia Smith, Hugh Fearnley-Whittingstall, Marco Pierre White are a few of the masters who lend their favorite recipes, advice and tips to the book. 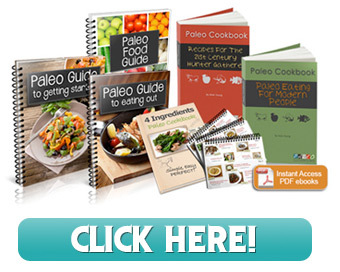 While many of the contributors are either celebrity or restaurant chefs, the recipes are all very accessible, and ingredients don’t drift to the obsure and are kept to the essentials. The book has a humble, approachable feel in spite of its big name attachments. And, in keeping with the sharing spirit of soup, the royalties from the book are being donated to homeless charities such as The Salvation Army and Centrepoint. Organized by the four seasons, Soup Kitchen is more than just a bountiful collection of very acheivable and enjoyable soups, its beautiful photography, quirky personality and genuine appeal never fail to put me in the mood for a good pot of soup. There is quite simply not a bad recipe in the bunch.